When your work is lauded and endorsed by two such highly respected giants in the health community like Dr. William Davis, author of Wheat Belly, and Dr. David Perlmutter, author of Grain Brain, then you must be doing something right. For today's podcast interview guest Brenda Watson, that must mean she's doing something VERY right. She has dedicated her career for over 20 years to helping people achieve vibrant, lasting health through improved digestive function. 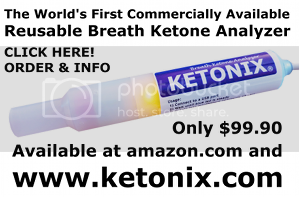 You may have even seen her on several PBS specials educating the public through enthusiastic lectures as she has established herself as one of the foremost authorities in America on optimum nutrition, digestion, and natural detoxification methods. 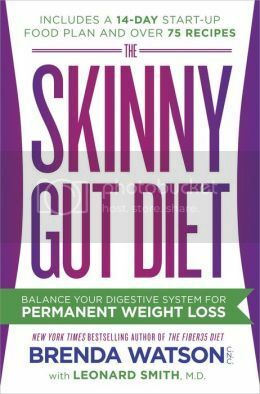 Brenda has written a total of eight previous books related to gut health and will be releasing her latest on October 7, 2014 entitled The Skinny Gut Diet: Balance Your Digestive System for Permanent Weight Loss. 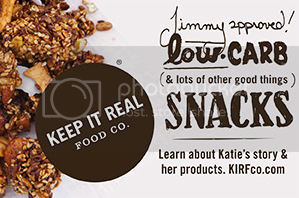 Listen in as Jimmy and Brenda discuss the details of what she shares in her new book on one of the hottest topics in the health community, some of the latest research related to the connection between the microbiome and obesity, why the gut bacteria of lean people and overweight people are so radically different, the intricate role that carbohydrates play in the body turning into sugar ad disrupting the balance gut bacteria, her reaction to the rise in interest in resistant starch and whether she thinks it's an effective way to feed the gut flora, how people can safely shift the foods they eat to improve the bacterial composition, and so much more. Everyone is keenly interested in this subject of gut health nowadays and Brenda Watson has been at this for nearly two decades researching it and finding what works for her clients. Listen and soak in her wisdom!